discrimination during a meeting in April. A community task force’s list of nearly 50 recommendations to help foster equity and equality in Hayward was accepted by the council Tuesday night, although three of its most controversial items were set aside for further examination. Hayward councilmembers unanimously voted to accept the report, which was produced by a 22-person task force created by the council last January to update its 1992 Anti-Discrimination Plan. The group was later tasked with offering a recommendation to the council over whether Hayward should declare sanctuary city status. But while praising the task force’s effort, some councilmembers politely asserted the document now called the “Commitment for an Inclusive, Equitable, and Compassionate Community (CIECC), or simply, “The Commitment” lacked suitable direction and in many cases included ancillary subject areas and recommendations already covered by current city and council policies. “Some of the report lacked a little bit of focus,” said Councilmember Marvin Peixoto, referencing items, for instance, he believed were outside the task force’s purview, such as charging stations for scooters. “Subtract the extraneous information and move forward with some solid focus and recommendations,” said Peixoto. to help vet new policies and procedures. While “The Commitment” includes a roadmap for protecting and promoting Hayward’s diverse population, in addition, to lending support for other disadvantaged group, the city administration voiced clear concern with two particular items, both involving the city’s police department. The task force called for the creation of a Hayward Police Chief’s Advisory Panel. They also urged the police department to withdraw from Urban Shield law enforcement emergency training event and trade show held each year in Pleasanton. 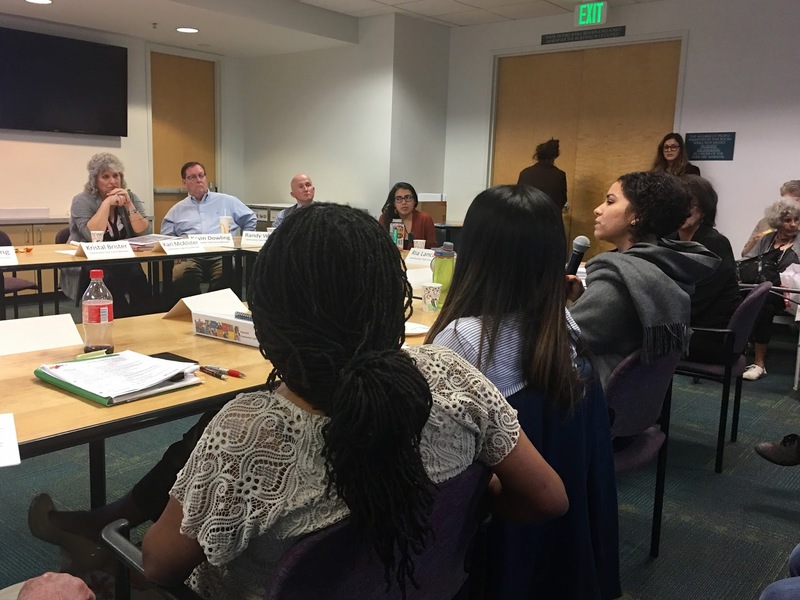 Hayward Police Chief Mark Koller welcomed the prospects of a advisory panel Tuesday night, but envisions the panel as platform for the community to vet new policies and hear concerns from the community, rather than a type of police oversight committee suggested by the task force. A clear point of contention, said City Manager Kelly McAdoo, is excluding the potential panel from overseeing issues involving officer discipline. “We think there’s still a lot of work to be done on this topic,” said McAdoo. “At this point, we’re not in agreement with the language in “The Commitment” right now.” The city also need more time to determine how the police advisory panel would be created, including its make up, said McAdoo. The prospects of pulling out of Urban Shield, meanwhile, appear highly unlikely. A majority of the council offered clear support for the annual event, along with Hayward Fire Chief Garrett Contreras and Police Chief Koller. support participation in Urban Shield. The issue elicited “strong concerns” from the task force, said McAdoo. But Urban Shield’s value to the city’s public safety departments, in terms of training and cohesiveness with local and regional law enforcement is too great, she added. Concerns over the trade show portion of the event featuring discriminatory apparel and signs can be addressed by the city if it remains in Urban Shield, said McAdoo. Some councilmembers agreed. 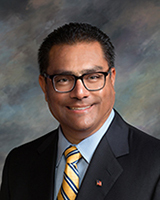 “There’s value to it,” Councilmember Mark Salinas said of Urban Shield. “There’s tactical, highly-specialized training.” Instead, he added, by remaining in the event, the city can take an active role in “de-racializing” it. “I trust our police chief and our fire chief will be strong advocates of that,” said Salinas. Less controversial was a third recommendation that all city employees participate in annual implicit bias training. The city staff is already working with its Human Resource Department on the details of such training, said McAdoo. One question, however, is whether or not the city’s hundreds of volunteers and short-term employees would also receive training. The administration will continue studying each item and return to the council with a report on its progress in June 2018. Questions also remain over another recommendation to install the task force as a permanent advisory group, in addition, to how long the current body will be kept intact. Posted in Barbara Halliday, community task force, Elisa Marquez, Hayward City Council, Kelly McAdoo, Mark Koller, Mark Salinas, Marvin Peixoto, The Commitment, Urban Shield. Bookmark the permalink. In regard to the issue of whether or not the Hayward Police Dept should continue participating in Urban Shield. It is much more important to be politically correct than to be concerned with trying to control the crime rate. In fact, who gives a hoot as to how high even the murder rate goes as long as all of us, and just like the crowds of zombies, stooges, and puppets on a string who for months yelled and screamed and maniacally carried on outside the Duke residence housing the hockey team, are deeply committed to fanatically supporting whatever is the latest politically correct nonsense. Pretty obvious that the city used these 22 people and wasted their time. Nothing will come of this effort. The task force wanted results and the city wants window dressing. I can understand why City Council and McAdoo don't want Hayward citizens involved in Police Officers or Police Chief's discipline. Hayward is known for not airing its dirty laundry. 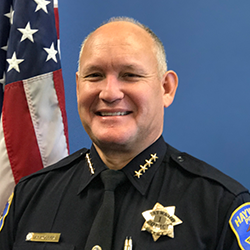 Chief Urban's retire or get fired fiasco, or former Hayward cops who extorted, molested children and took advantage of feeble minded on and off duty. Let's not forget the Fire Department and Chief Contreras not getting fired for being drunk on duty thanks to Fran David, McAdoo's predecessor. The citizens will push to get those criminal city employees fired, not promoted or retired early. I question whether the police chief actually made these comments. Seems like about 7 words too many for him to have used when two word sentences or grunts are more likely. Peixoto lacks focus. He's used tocity staffers spoonfeeding him predigested reports as well as preschool charts and graphs which protray Hayward falling off a financial cliff. He's used to exaggerated facts and figures that City Staff pulls out of thin air. Remember, the city was going to lose billions of dollars if it became a Sanctuary City. Also, those Task Force meetings were facilitated by City Employees. Perhaps that's why The Commitment lacked focus. However, he shouldn't complain because the city made a video about the process and Hayward won another award for their trophy case at city hall. It in between the “All America City Award” and the “I Dressed Myself Today Ribbon” in the display case. Marv's our man! He don't stand for no stinkin' union whores!! Marvin and Barbara, thank you for your many, many years of serving the Hayward Hills, Downtown Merchants and the Mobile Home Communities. Now take a deserved break and retire from public service. We need people with new ideas to benefit the residents and not the Housing Developers. Barbara and Marvin are responsible for wasting money on The Loop and the expensive new library. Maybe the city wouldn't be broke if they would stop our wasting money.